King Haakon was born at Charlottenlund Palace near Copenhagen on 3 August 1872. He was the second son of the Crown Prince and Crown Princess of Denmark, later King Frederik VIII and Queen Louise. Christened Christian Frederik Carl Georg Valdemar Axel, he was known as Prince Carl. Prince Carl took the name Haakon when he was elected King of Norway in 1905. He adopted the motto "Alt for Norge", meaning "We give our all for Norway". Prince Carl and his elder brother, the future King Christian X of Denmark, received private tutelage at the Palace. In 1886 Prince Carl began his training as a naval officer. He worked his way up through the ranks along with the other cadets and was accorded no special privileges. 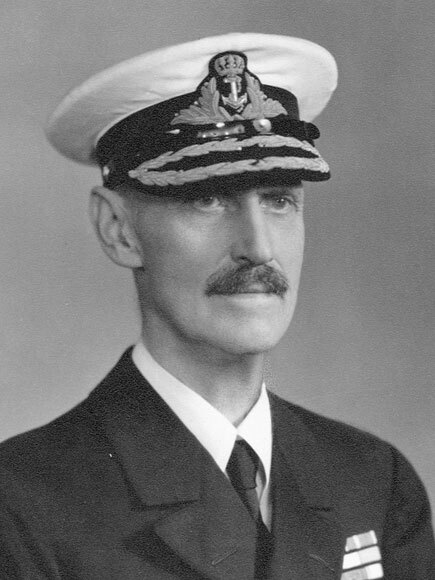 He graduated from the naval college in 1893 with the rank of sublieutenant in the Royal Danish Navy, and was later promoted to first lieutenant. In 1896 Prince Carl married his cousin, Princess Maud (1869-1938), the daughter of the Prince and Princess of Wales, later King Edward VII and Queen Alexandra of the United Kingdom. The couples son and only child, Prince Alexander, was born at Appleton House in Norfolk, England, on 2 July 1903. On 7 June 1905 the Norwegian Storting passed a resolution to dissolve the union with Sweden. In October 1905 King Oscar II renounced his claim to the Norwegian throne, and formally declined the offer to institute a prince of the House of Bernadotte as King of Norway. The Storting turned then to another potential candidate: Prince Carl of Denmark. In addition to his personal qualifications it was pointed out that the Prince was Scandinavian, and thus already familiar with Norwegian language and culture. He had close ties to the British Royal House through his wife, Princess Maud. Furthermore, he already had a son, two-year-old Prince Alexander, thereby ensuring the succession. In the wake of the dissolution of the union with Sweden there was some discussion of Norways future form of government: should the country remain a monarchy or become a republic? Prince Carl insisted that this matter be resolved by the Norwegian people in a plebiscite. He sought assurance that the population truly supported the idea of a monarchy. A clear majority voted in favour of a monarchy, and on 18 November 1905 the Storting elected Prince Carl as King of Norway. The President of the Storting sent the Prince a telegram formally offering him the crown, which the Prince accepted. On 25 November 1905 Norways new royal family arrived at the Vippetangen pier in Kristiania (now Oslo). The King took the name Haakon and gave his son the name Olav. Both of these were names of Norwegian kings dating back to the Middle Ages. King Haakon and Queen Maud were crowned in Nidaros Cathedral in Trondheim on 22 June 1906. King Haakon and Queen Maud spent their first years in Norway becoming thoroughly acquainted with their new country. In connection with their coronation in Nidaros Cathedral, the King and Queen travelled to Trondheim by train, horse and carriage, and boat, making frequent stops along the way. They completed the second half of their coronation journey the following year, carrying out a tour of Northern Norway. King Haakon immersed himself in Norwegian politics and culture. Polar explorer Fridtjof Nansen introduced the King and Queen to the national sport: skiing. In 1906 the King first attended the Holmenkollen skiing events, establishing a tradition subsequently followed by both King Olav and King Harald. King Haakon started another much-loved tradition: each year on May 17th, Norwegian Constitution Day, the annual childrens parade in Oslo marches in front of the Palace, where members of the Royal Family greet the parade from the balcony. Compared with many other royal families, the Norwegian Royal Family showed great moderation: the Royal Court was small and expenses were kept to a minimum. Given the debate about Norways form of government, the King felt it was important to maintain a modest lifestyle. This was in keeping with Norwegian tradition and reflected the fact that Norway was not a wealthy country. King Haakon swore an oath of allegiance to the constitution, and made every effort to fulfil his role as constitutional monarch. While he firmly believed that political power should be in the hands of the democratically elected representatives, he wished to be kept closely informed about political affairs by the Government. Although he might state his views on a certain case, he always deferred to the majority in the Council of State, unfailingly supported policy decisions, and was careful never to show an affinity for any political party. In 1928 King Haakon exercised his constitutional powers in full when he appointed the first Labour Party government in Norwegian history. Although it had become the majority party in the 1927 Storting election, the Labour Party was still considered radical, and the resigning prime minister recommended that the King appoint a government from the Bondeparti (Farmers Party). The King chose instead to adhere to parliamentary principle, and asked the Labour Partys Christopher Hornsrud to form a new government. His decision was not well received in conservative circles. Due to his background, the King was deeply interested in foreign policy and military matters. 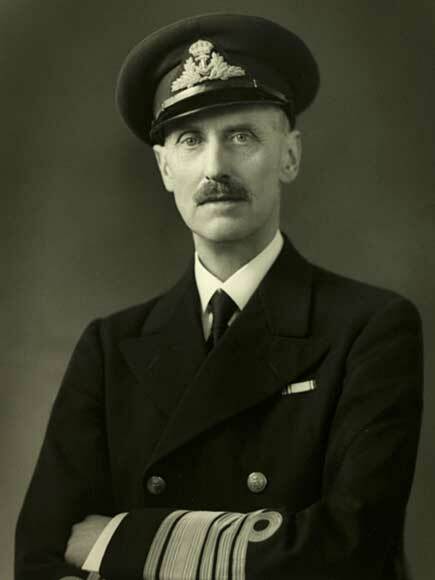 With his royal connections – most notably to the British Royal House – he was able to offer the Government vital support on several issues, including preserving Norways neutrality in WWI. King Haakons immersion in all things Norwegian, his personal qualities and manner, and the great respect he showed for democratic principles all served to bolster the standing of the monarchy in Norway. This position came to be further strengthened during WWII. German troops invaded Norway on 9 April 1940, planning to capture the King and the Government to force the country to capitulate. However, the Royal Family, the Government and most members of the Storting were able to flee before the occupying forces reached Oslo. Convened at Elverum in Eastern Norway, the Storting gave the King and the Government full authority to rule the country for the duration of the war. The Germans demanded that the King appoint a government headed by Nazi sympathiser Vidkun Quisling. The King stated that he would not attempt to influence the decision of the Government in this matter, but that he would abdicate if they chose to comply with the German ultimatum. Upon learning of the Kings refusal, German forces repeatedly bombed the village of Nybergsund where he was staying. Fortunately, he and the Crown Prince managed to escape to safety. On 7 June 1940 the King, the Crown Prince and the Government travelled from Tromsø to England, establishing a government in exile in London to lead the resistance effort. King Haakon became the foremost symbol of the Norwegian peoples will to fight for a free and independent Norway, and his radio broadcasts from London served as a source of inspiration for young and old alike. The Royal Family received a warm welcome on its return to Norway after the liberation on 7 June 1945. In late summer 1945 the King embarked on a tour of the country to see for himself the destruction wrought by the war, as well as the ongoing efforts to rebuild. He completed the second half of the tour the following summer. Through a nationwide collection effort the Norwegian people raised the funds necessary to present King Haakon with a royal yacht on the occasion of his 75th birthday. The British motor yacht Philante was purchased, and the King was given a model of the vessel on his 75th birthday in 1947. The yacht was undergoing refurbishment, and was to be ready the following summer. King Haakon greatly appreciated this gift from the people, and re-christened the vessel the Norge. In the years that followed, he travelled extensively on the Norge. In summer 1955 he paid a visit to Møre and Romsdal County in Western Norway. It was to be his final voyage. 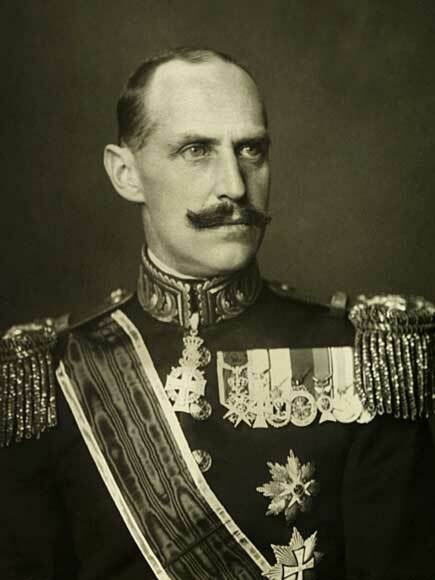 King Haakon VII died at the Palace in Oslo on 21 September 1957, and was buried in the Royal Mausoleum at Akershus Castle. Crowds of mourners lined the roads as the funeral cortège passed by.